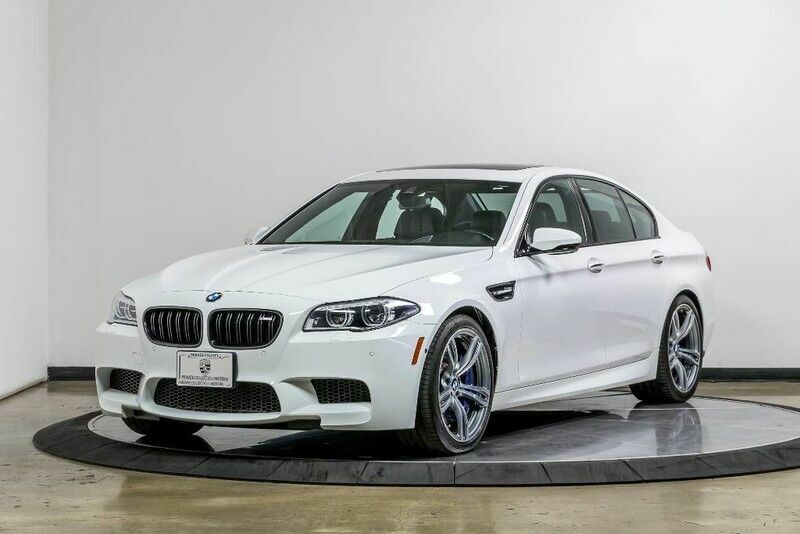 This 2015 BMW M5 is proudly being offered for sale by Private Collection Motors. This M5 has only 39,000 super low miles. It is finished in a Alpine White exterior over Black Extended Merino Leather. The 2015 BMW M5 is a luxury super-sedan. It's one of the fastest four-doors in the world. It has a 4.4L 8 cylinder engine that produces 560 hp. It was purchased new in sunny California and has remained a local Southern California car. This M5 is a one owner Certified Carfax vehicle and comes complete with 1 key and owners manual. It a huge MSRP of $109,680 and has great options and features such as: MSRP $99,085 20" M Wheel $1,300 Alpine White Anthracite Alcantara Headliner Driving Assistance Plus $1,900 Executive Package $6,400 Stop by our indoor showroom anytime to check out this M5. We are open Monday - Friday 10 am to 7 pm Saturday 10 am to 6 pm and Sunday 10 am to 3 pm. Let our 100% eBay feedback speak for our cars and sales staff. We welcome pre purchase inspections on all of our vehicles and welcome trade ins. For our out of state buyers, we can help arrange shipping to anywhere in the US. For more information please contact our experienced sales team at 949-791-2167. We look forward to hearing from you.